Add an ice brain ball to your beverages with the help of this brain freeze ice mold. Perfect for Halloween and all of your zombie themed events. Dishwasher safe. Flexible rubber mold. 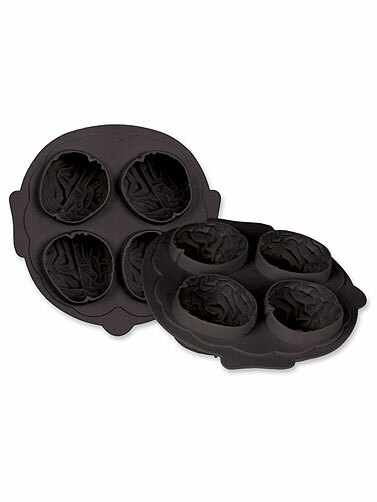 Brain Freeze Ice Mold measures 6"L x 6"W and forms 4 brain cubes that are approximately 2"L x 2"W x 1.5"H.